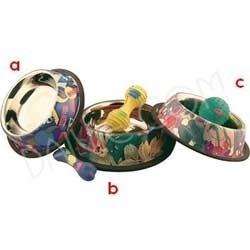 We are engaged in offering an array of pet ware, which is manufactured using stainless steel by our vendors. The products offered by us, have changed the whole concept of serving food to pets. Our range is acclaimed for features like corrosion- resistance, durability, reliability and cost-effectiveness. We are the leading manufacture of all sort of pet bowls.